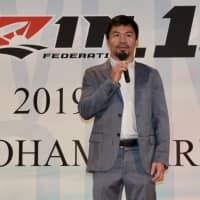 The 140,000 allied prisoners of war captured by the Japanese during World War II endured horrific cruelties and a comparatively high percentage did not survive. While the death rate of POWs in German camps was about 4 percent, it is generally agreed that the allied POW death rate in Japanese camps was about 27 percent; here the author cites a higher figure of 38 percent without explanation. The relatively high toll in Japanese camps is partly due to brutal mistreatment and summary execution. Many of the Japanese captors were cruel toward the POWs because they were viewed as contemptible for the very act of surrendering. The guards were conditioned to consider that inhumane treatment was no less than what the POWs deserved; real warriors die. But the high death toll was also due to the POWs’ susceptibility to tropical diseases due to malnutrition and immune systems adapted to temperate climates. In addition, as the tide of war turned against Japan and its extended supply lines became more vulnerable, the flow of food and medicine declined to camps scattered across Southeast Asia. 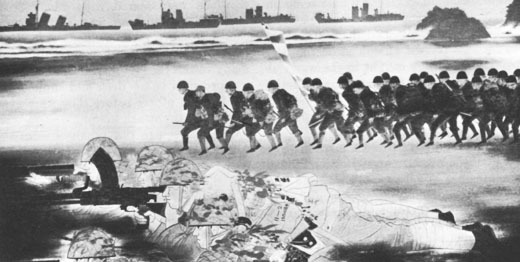 Moreover, friendly fire caused about one in four POW deaths as the U.S. attacked Japanese convoys, sinking many ships transporting POWs back to Japan because they were unmarked. 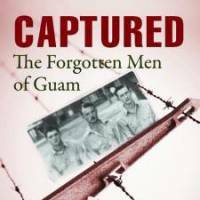 “Captured” tells the story of the soldiers and civilians on Guam who surrendered in the early days of the Pacific War. In this posthumously published account, Roger Mansell humanizes the POWs by drawing on extensive interviews with survivors about their experiences. It makes for grim reading, a relentless saga of beatings, depression and hunger. Guam was a cushy, sought-after post because the living was easy, the booze was cheap (beer was 10 cents! ), there were long sandy beaches and bountiful other recreational pursuits. By late 1941 everyone knew the war was imminent, but for most the dangers seemed remote. Five days before the Dec. 7 attack on Pearl Harbor, soldiers were told not to expect a payday and on Dec. 5 military records were destroyed. 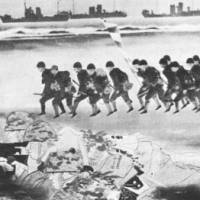 On Dec. 10, 1941, over 5,000 Japanese troops landed on Guam and there was limited resistance before a quick surrender. During the invasion, soldiers realized that some of the Japanese residents were actually officers in the Imperial Armed Forces, including “Ben Cook,” owner of a very popular enlisted men’s bar. The POWs were transported to the small port of Tadotsu in northern Shikoku on a luxury liner, although they were relegated to steerage class. Coming from the balmy tropics, the POWs were unprepared for the Japanese winter. 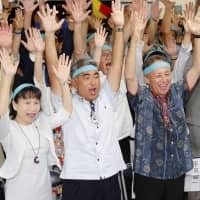 They were sent to Zentsuji, a prison camp that had a reputation for treating POWs better than any other Japanese facility. The POWs became experts in the art of pilfering, a survival strategy that provoked brutal reprisals. 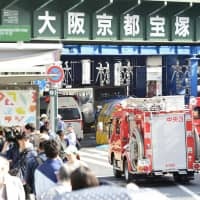 Some of the “worst offenders” were transferred to a camp near Osaka where they were put to work as stevedores for private companies. It was a curious assignment because shifting cargoes created more abundant opportunities. At great risk to their safety, the POWs also engaged in sabotage, doing what they could to contribute to the war effort. The POWs discovered that civilian supervisors at the companies hiring them as slave laborers were often more brutal than military guards. One POW camp commander berated soldiers for standing by and allowing civilians to beat POWs. There were, naturally, tensions between men who were struggling to survive — between officers and enlisted men, between services and between POWs captured in different places. The intense bonds that developed within different groups put them at odds with each other and the survival of one’s buddies was the priority. POWs from Bataan and Corregidor, for example, resented that the Guam POWs never shared the bounty from their thievery. 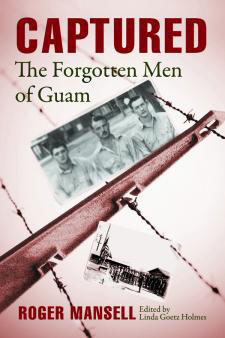 This group solidarity paid off as the death rate of the 414 Guam POWs was less than 3 percent during their “thirty-seven months in hell.” After reading this account, it is hard to imagine that so few died.